We thank you for visiting our web site. We hope that you find it a useful tool in helping you learn more about APTI. 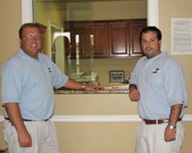 We invite you to thoroughly visit this site and read about us, our services, and meet our staff. It is our intention that you become familiar with us and our services, in order to aid you in making YOUR choice for your Physical Therapy needs. Our motto, ACCELERATING YOUR REHAB, ENHANCING YOUR LIFESTYLE, embodies our purpose. our staff. It is our intention that you become familiar with us and our services, in order to aid you in making YOUR choice for your Physical Therapy needs. 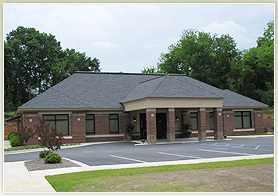 Our motto “Accelerating your rehab, enhancing you lifestyle” embodies our philosophy and approach to physical therapy. Our mission at Accelerated Physical Therapy is to meet the physical therapy needs of the citizens of Sumter and surrounding counties. We will strive to provide a friendly, clean and courteous atmosphere, while ensuring state of the art physical therapy services in a professional, efficient and caring manner.Established in 2003, Accelerated Physical Therapy is locally owned and operated by physical therapists, Tracy M. Law and Alex Saratsiotis. With a combined 25 years of experience, APTI is dedicated to and has enjoyed success in providing the highest quality of care in a relaxed and fun atmosphere. Though our evaluation process, we provide each patient with an individualized plan of care in order to meet their desired goals and achieved their full physical potential. APTI utilizes modern techniques and specific exercise programs, along with a state of the art facility in order to guide our clients to a full and rapid recovery. Again, WELCOME to Accelerated Physical Therapy! If you are in need of physical therapy, ask your doctor to send you to Accelerated Physical Therapy. Shamrock Jog & Jam - held every year in March. See us on Facebook for more information. Logo Design By Logo Design Guru, Website Design By WebbyGuru.